Are you looking for one of the safest payment method to make sale and purchase online, then paypal is the first choice of yours. PayPal is one of the safest method as it do not let you share your bank account or debit card details and this way your account information stay secure. You can even use PayPal on Amazon. When making or receiving a payment all you need is an email Id registered on PayPal. 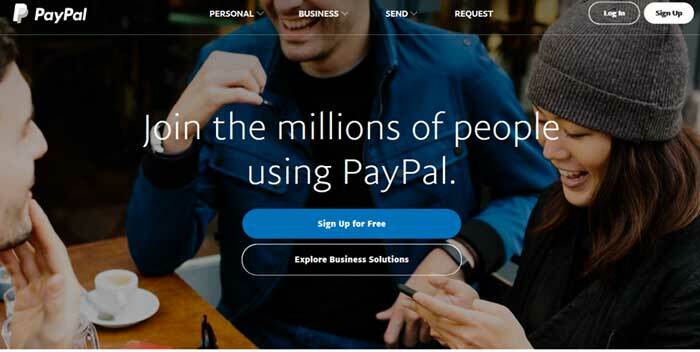 Let`s see how to setup a Paypal account in 15 easy steps. Select the personal Account or Business Account. Open your email id and Click on "Activate my Account" to verify your email id. PayPal will make two small amount transactions into your bank account. You need to enter those unique amounts to verify your bank account. Once it`s done you are ready to send and receive payments. So now after completing all these steps you are ready to make payment or recieve money. I must tell you that PayPal charge a minimal amount to secure your transaction. This is very minimal amount that a person can pay easily to secure his/her online transactions. Do you already have a PayPal account? which payment method do you prefer? If you still have any question, feel free to share via comments.